The Kingdom of Cambodia (Khmer: Preăh Réachéanachâk Kâmpŭchéa), formerly known as the Khmer Empire, is located in the southern part of the Indochina Peninsula in South East Asia, bordered by Thailand, Laos, and Vietnam. Its capital city is Phnom Penh. The official religion is Theraveda Buddhism; minority groups include Vietnamese, Chinese, Cham people, and thirty hill tribes. 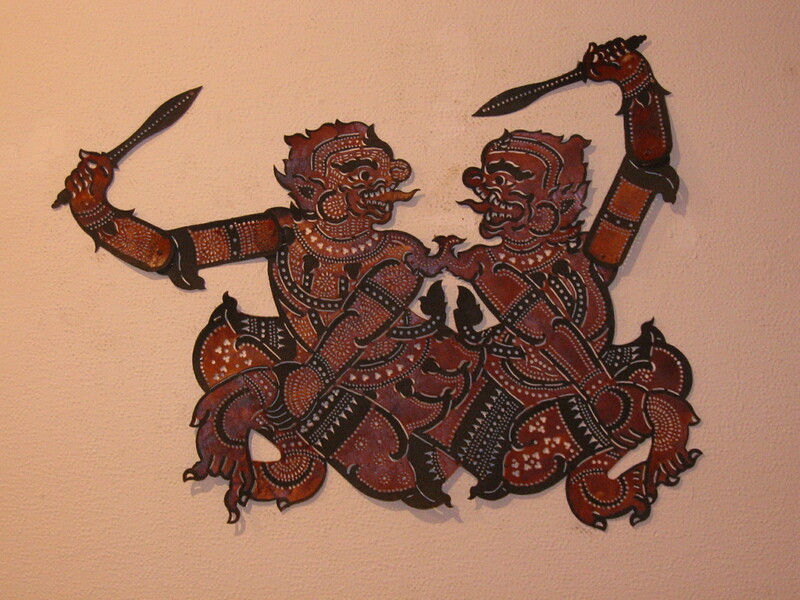 Cambodia has three extant forms of puppetry, which will be referred to as shadow theatre, though that conventional term may be objected to on several grounds, including its absence from vernacular usage. They are known as (nang) sbaek thom (large leather); sbaek poa (coloured leather) or, much more rarely, sbaek kandal/mothium (medium-sized leather); sbaek touch (small leather) or ayâng (puppet). Pich Tum Kravel refers to wooden puppets (tokkata) being performed at a village in Siem Reap Province until 1970 (there is a project, 2012, to revive them). The first written record of nang sbaek is in a Thai royal court record of 1458. There has been much two-way cultural traffic between Cambodia and Thailand over the centuries. A plausible argument can be mounted that shadow puppetry was born in the Angkorian period and would then have been taken home by the Thais as the spoils of war after defeating the Khmer empire in 1431, but there is no hard evidence to date. The picture is further complicated by the influence of Thai models on Cambodian arts in the 19th century and modifications to the Khmer arts in the 20th century, compounded by a general paucity of documentation. The resemblances, as well as the differences, between Cambodia’s puppets and Thailand’s nang yai and nang talung are undeniable. Sbaek thom are, as Jacques Brunet nicely puts it, the “danced counterpart to the sculptures of Angkor”, and form a continuum with court dance and masked dance, which all recount the Reamker, the Cambodian version of the Ramayana. The puppets, numbering 150 or more, which can be very large (an Enthachit bidding farewell to his family measured 1.57 by 1.27 metres) and weigh 8 kilos or more, are danced clockwise by ten to twelve manipulators behind and in front of a screen, 10 to 12 metres long by 3 metres high, back-lit by a brazier of coconut shells, though other light sources may be used. They may be of individual figures or composite tableaux; the figures have no moveable parts, and they are supported by one or two sturdy sticks. The manipulators execute the steps of court dance in a necessarily reduced (because of the large, heavy puppets), lateral plane. Two narrators, one at each end of the screen, tell the story, which is then enacted as the dancers are galvanized into action by the start of the music. The narrator, who is the repository of puppet lore, is the most important person in the troupe, and exceedingly difficult to replace. Traditionally in Siem Reap, shadow-theatre performers worked on the land, though this is not true today. Nowadays only episodes (sar, arrows) of the section of the Reamker known as “The Battle of Enthachit”, are performed. Enthachit (Indrajit), whose father, Reab/Ravana, the demon king of Lanka, has captured Seda (Sita), the wife of Ream (Rama), fights the prince’s army sent to win her back, deploying his great martial courage and supernatural skills. The sequence begins with the building of a bridge to Lanka and ends with Enthachit’s death. One favourite episode involves the transformation of Reab’s niece, Punyakay, into the apparent corpse of Seda floating on the water in front of Ream’s camp. Her ruse is discovered by Hanuman, with dire consequences. The Reamker is preceded by an elaborate sampeah kru (hommage to the great teachers), during which puppets representing Maha Eysei (the ascetic), flanked by Eyso (Shiva) and Noreay (Vishnu/Ream), are placed against the front of the screen. This ritual is followed by the lighting of the fire and the start of a dramatic, and also comic, prelude to the Reamker in the form of a contest between a white and black monkey, symbolizing good and evil. In a spirit of reconciliation, Maha Eysei will order the white monkey to release his defeated opponent. Performances were held for seven or even seventeen successive nights in the past, and while, even recently, performances have been held over successive nights, a traditional performance will nowadays normally last two to three hours. The point of reference here is the troupe of Mr Ty Chean, which was, on his death in 2000, taken under the wing of former Culture Minister Chheng Phon’s Vipassana centre in Siemreap, and is now headed by Ty Chean’s grandson, Chean Sophan, known as Puon (narrator and puppet-maker). Sbek thom is accompanied by a pin peat orchestra, which consists of a large and small xylophone (roneat); large and small circle of gongs (kong); large and small wooden oboe (sralay); double-headed barrel drum played with the hands (sampho); a large pair of barrel drums played with mallets (skor thom); and a pair of small cymbals (chheung). The skor thom, which enables the dancers to synchronize their movements, is the most important instrument: when a mixed Siemreap/Phnom Penh troupe visited Japan in 1997, of all the regional differences in performance, it was the drumming that proved the most difficult element to integrate. While the pin peat accompanies many forms of performance in Cambodia, the songs and instrumental style for sbaek thom are unique. The making of the puppets is an expensive, long, and skilled business. Once the cow/oxhide has been thoroughly cleaned of flesh and muscle, it is steeped for several days in a boiled tree-bark solution to produce a colour that may vary from red through yellow to dark brown before being stretched; the next stage requires an expert drawer thoroughly familiar with the codified, stylized representation of the figures (Mr Kravel’s book has become the Bible). The final stage is the cutting out and attaching of supports. The highly decorated figures are divided into five categories – princes, princesses, demons, mythological monkeys, and secondary characters (the ascetics and peasants). Physical characteristics, down to the shape of noses, costumes and weapons, are canonically defined. Princes are always in profile; princesses, full face; demons and monkeys may be either. The sacred, ethical nature of sbaek thom is seen not only in the ceremony preceding performance, but in ritual practices observed in the making of the puppets. The puppets may also perform, for example, at the ceremony that falls 100 days after the death of a chief monk or to combat natural disasters. There were two troupes in the first part of the 20th century: one in Battambang (whose puppets have been lost), another in Siem Reap. There are currently two troupes performing sbaek thom in Siem Reap (those of Ty Chean and Wat Bo); in Phnom Penh, you find the Ministry of Culture troupe and the troupe of Kok Thlok (founded autumn of 2006). 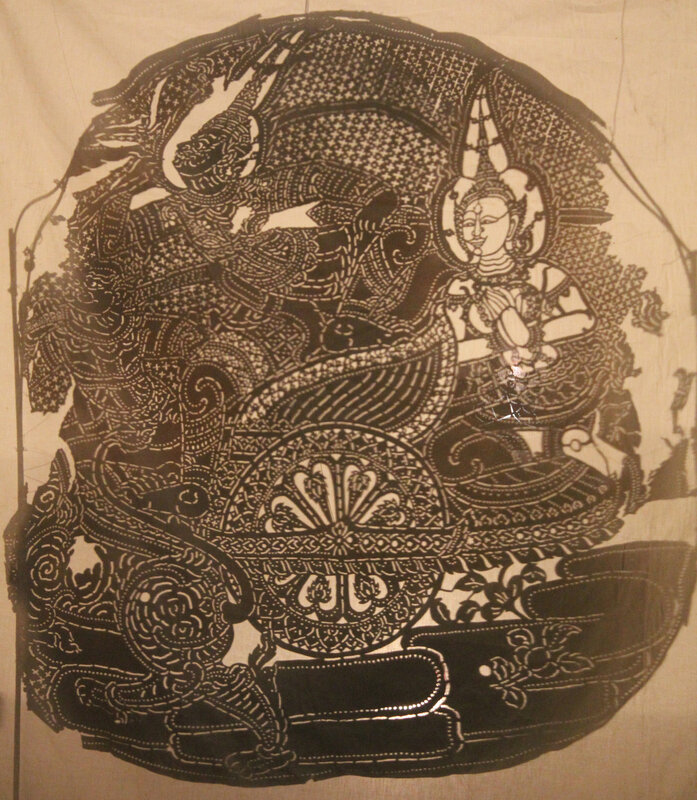 Shadow puppetry may be studied in the Performing Arts Department of the Royal University of Fine Arts, Phnom Penh. Students began to study sbaek thom there, under Siem Reap masters, in the 1960s. Sbaek touch are performed in a raised, covered booth furnished with a cloth screen, behind which a light source is used to cast the shadows of the puppets. Up to five or six seated manipulators operate the puppets. Musical accompaniment is by a small pin peat orchestra. 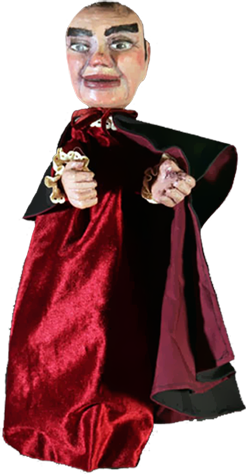 The puppets have articulated arms, and comic characters also have other articulated parts; rather large composite tableau-type puppets also exist. Princely quest tales of adventure – e.g. Preah Chinavong or Sang Selachey (a boy born attached to a magic shell) – may be a central part of the repertoire, but the small puppets are versatile, and are, for example, used by NGOs to spread information about AIDS, domestic violence, or even the protection of birds. In the mid-1950s, Thuy Biev’s troupe had 300 puppet items, including stage furniture. In 1994, Mr Duk Rouen had 120 puppets (he had hidden his puppets in the hole of a tree during the Pol Pot period). Only 50 of Mr Srei Chen’s puppets survived, to which 10 had been added in the early 1990s, but that meant only three out of the six stories in the troupe’s repertoire could then be played. And this despite the fact that the figures represent character types, i.e. allow some interchangeability! Men are generally shown in profile, women full-face, as with their larger brethren. A performance initially proceeds as with sbaek thom, i.e. the sampeah kru plus the fight between the white and black monkey. However, there then follows a fight between the buffaloes of two peasants whom a policeman seeks to placate. The main item on the bill then ensues. The buffalo fight allows for much improvisation, and is played strictly for laughs. Buddhist culture may teach morals, but it does not have to be solemn: the small shadow theatre lives on because of its “ability to amuse”. The popular comic hero in Phnom Penh is called Ayang, i.e. he is synonymous with the small shadow theatre. He is a paunchy, bald, axe-wielding character who forms a duo with the beak-mouthed Ayao. His Siemreap counterpart is Apok or Asou. The opportunities for performance within a context of traditional consumption are more limited nowadays, but performances sponsored by foreigners also attract large, nonpaying local crowds. A Japanese television crew commissioned a show by Mr Nap Pow’s troupe one evening, and the opportunity was taken the following to make a performance in commemoration of an ancestor. Most performances nowadays are related to tourism. In the context of Siem Reap the following performers should be mentioned (members of different groups sometimes collaborate): Nap Pow, Nap Rin, Ty Chum, Hien Oun, Saw Van, Duk Roeun, Srei Chen, not forgetting the Venerable Pin Sem of Wat Raja Bo, a puppeteer before monkhood, who has been an important figure in the revival of shadow puppetry, even from within a Thai refugee camp in the mid-1980s. Arts associations like Cambodia Living Arts, the Friends of Khmer Culture, and the Foundation Modern Puppet Center (Japan) help sponsor and promote, and NGOs like Krousar Thmey (Siem Reap and Sisophon), CDCAPK (Siem Reap), and Future for Cambodian Children (Siem Reap) have employed puppet masters to teach countless children the art. When, in 1979, after the fall of Pol Pot, twenty-three coloured puppets were discovered in the Royal Palace of the abandoned capital, an attempt was made to piece the history together from the artefacts themselves and from oral testimony. The largest figure among the cache (a king’s carriage with two drivers, three dancers, and two divinities) was 78 centimetres wide by 90 centimetres tall, the smallest (a walking man) 22 centimetres wide by 50 centimetres tall. These wonderful-to-behold puppets, mounted on two supports and with no moving parts, are similar in design to sbaek thom. The genre, an exclusively court tradition, performed in daylight on occasions such as the King’s Birthday and the Water Festival, died out at the end of the 19th or beginning of the 20th century. After research, knowledge of the repertoire remains “vague and insufficient”. It was not until the Cambodian Culture Days in 2000 that new coloured puppets performed at the Chatomukh Theatre “The Churning of the Ocean of Milk”, based on the 50-metre-long bas-relief of the great creation myth dedicated to Vishnu in the East Gallery of Angkor Wat. The National Theatre retains artists capable of performing this genre. There have been very rare performances since. The innovatory, Mann Kosal-led Sovanna Phum company made and incorporated some coloured puppets into a mixed-media show in 2004. The Ieng Houen-led Kok Thlok group has also produced coloured figures. Henri Marchal wrote in 1958 that the shadow theatre was tending to disappear, gradually being replaced by modern attractions, where cinema had pride of place, and shared the view that it was too slow, too monotonous, and no longer in keeping with the mentality of the young generation. Despite decades of war (and artists suffered disproportionately under Pol Pot), poverty, the influence of video, karaoke, the West and Thailand, this theatre – through the passion of its performers and individuals and institutions within and without the country – has not vanished into the shades of oblivion. Indeed, the placing, in 2005, of sbaek thom on UNESCO’s List of Masterpieces of the Oral and Intangible Heritage of Humanity (joining the “happy few” of Japan’s ningyō joruri Bunraku, Indonesian wayang, and the pupi siciliani), has given a boost. Kok Thlok put on sbaek thom and sbaek touch performances at the World Puppetry Festival in Charleville-Mézières, France, in September 2011, and the national troupe will be doing likewise in Paris in June 2012. Beyrand, Louise. Les marionnettes de théâtre d’ombre khmères: l’exemple de la collection du musée Guimet [The Puppets of the Khmer Shadow Theatre: the Example of the Musée Guimet Collection]. Mémoire d’étude de muséologie, École du Louvre, Année 2010-2011. Brunet, Jacques. Nang Sbek. Théâtre d’ombres dansé du Cambodge [Nang Sbek. Danced Shadow Theatre of Cambodia]. Berlin: Publication de l’Institut international d’études comparatives de la musique, 1969. Brunet, Jacques, and the Royal University of Fine Arts. Several papers on Cambodian performing arts, including puppetry, given at the Conference on the Traditional Drama and Music of Southeast Asia, Kula Lumpur, Malaysia. Cambodia Arts Directory. Visiting Arts, managing editor Tim Doling, UK, ISBN 1-902349-28-8, 2001. 182 pp. Ebihara, May M., Carol A. Mortland, and Judy Ledgerwood, eds. Cambodian Culture Since 1975: Homeland and Exile. Ithaca (NY): Cornell Univ. Press, 1994. Fowler, Robert. “Cambodian Revival”. Animations. London, June/July 1995; “Cambodia: Sbek Touch”. Animations. August/September 1995; “Theatres of Memory, Cambodia, An Update”. Animations. April/May 1997. Hang Soth (supervisor). Proclamation of Masterpieces of the Oral and Intangible Heritage of Humanity. Document submitted for candidature of sbek thom. Phnom Penh: Ministry of Culture and Fine Arts, 2004. Janin, Stéphane. Sovanna Phum. Théâtre d’ombres [Sovanna Phum. Shadow Theatre]. Montreuil: Éditions de l’Œil, 2003. Khoury, Stéphanie. Le Petit Théâtre d’Ombres Au Cambodge. Approche de la musique traditionnelle khmère dans un contexte de représentation [The Little Theatre of Shadows in Cambodia. Approach to the Traditional Khmer Music in the Context of Performance]. Maîtrise d’Ethnomusicologie, Université Paris X-Nanterre, 2003. Kravel, Pech Tum. Sbek Thom: Khmer Shadow Theater. Cornell University Southeast Asia Program and UNESCO, 1995. 350 pp. 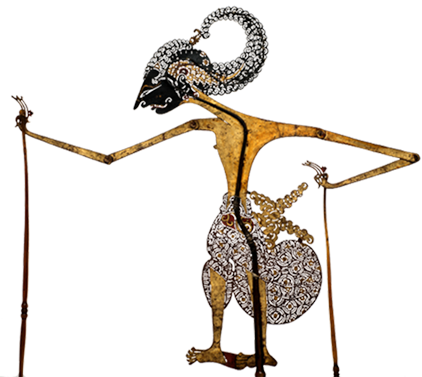 ; includes 35-page abridgment in English of Khmer text, full set of puppets illustrated. Kravel Pich Tum. Sbaek Poa, Sbaek Touch, Colour Leather and Shadow Puppetry. Phnom Penh, 2000. 170 pp. ; includes 11-page English summary of the Khmer. Marchal, Henri. “Note sur un théâtre d’ombres à Siemreap” [Notes on a Shadow Theatre in Siemreap]. Bulletin de la Société des Études Indochinoises [Bulletin of the Society of Indochinese Studies]. T. XXXIII, No. 3, 1958, pp. 251-260. Miura, Keiko. UNESCO: Information on Cambodian Shadow Puppets. (In-house) mission report researched in December 1993 and March 1994. Phim Toni Samantha, and Ashley Thompson. Dance in Cambodia. Oxford Univ. Press, 1999. Contains a chapter on sbaek thom. Sam, Sam-Ang. “Religion and the Arts in Khmer Life: a Question of Continuity and Challenge”. Focus: The Center for Khmer Studies. No. 1. 2003-2004, pp. 14-17. Sam, Sam-Ang. “The Floating Maiden in Khmer Shadow Play: Its Text, Context, and Performance”. Selected Reports in Ethnomusicology. Ed. Amy Catlin. Vol. 9. Los Angeles, 1992, pp 115-130. Sam, Sam-Ang. The Pin Peat Ensemble: Its History, Music, and Context. (PhD diss.) Middletown: Wesleyan University, 1988, 435 pp.